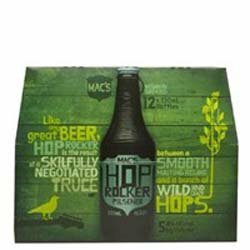 A premium lager that combines the best of Macs famous Reserve and Wicked Blonde brews with a few ideas of its own. By adding a portion of crystal malt, it gives room for addition of Nelson hops. It resolves itself as a golden lager with proper citrus aromas and pilsener-style bitter notes.